It has now been nine years since al Qaeda attacked the United States. It has been nine years in which the primary focus of the United States has been on the Islamic world. In addition to a massive investment in homeland security, the United States has engaged in two multi-year, multi-divisional wars in Iraq and Afghanistan, inserted forces in other countries in smaller operations and conducted a global covert campaign against al Qaeda and other radical jihadist groups. STRATFOR often discusses how Russia is on a bit of a roll. The U.S. distraction in the Middle East has offered Russia a golden opportunity to re-establish its spheres of influence in the region, steadily expanding the Russian zone of control into a shape that is eerily reminiscent of the old Soviet Union. Since 2005, when this process began, Russia has clearly reasserted itself as the dominant power in Armenia, Belarus, Kazakhstan, Azerbaijan, Kyrgyzstan, Tajikistan and Ukraine, and has intimidated places like Georgia and Turkmenistan into a sort of silent acquiescence. 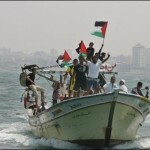 Last week’s events off the coast of Israel continue to resonate. Turkish-Israeli relations have not quite collapsed since then but are at their lowest level since Israel’s founding. U.S.-Israeli tensions have emerged, and European hostility toward Israel continues to intensify. The question has now become whether substantial consequences will follow from the incident. Put differently, the question is whether and how it will be exploited beyond the arena of public opinion. Last week, Brazilian President Lula da Silva and Turkish Prime Minister Reccep Erdogan announced a breakthrough agreement on the Iranian nuclear impasse that they claimed would make further sanctions on Iran “unnecessary.” The agreement, accepted by Iran, was immediately rejected by the US and its European allies, who chose instead to continue the three-decade long US effort to strangle and isolate Iran by all means available. 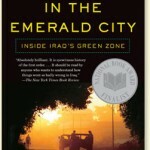 The Book Imperial Life in the Emerald City is an unprecedented account of life in Baghdad’s Green Zone, a walled-off enclave of towering plants, posh villas, and sparkling swimming pools that was the headquarters for the American occupation of Iraq. On April 9, a woman armed with a pistol and with explosives strapped to her body approached a group of police officers in the northern Caucasus village of Ekazhevo, in the southern Russian republic of Ingushetia. The police officers were preparing to launch an operation to kill or capture militants in the area. A major Taliban attack began on Kabul Jan. 18. The fighting is being reported by both American and Taliban sources. According to one American source, reports of an imminent attack began circulating Jan. 17. Heavy fighting is being reported at multiple locations, apparently focused around the Serena Hotel. The hotel, which is frequented by foreign journalists and government officials, has been attacked in the past. According to the Taliban, 20 suicide bombers are taking part in the attack. 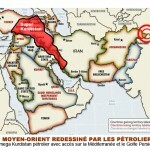 They claim the Presidential Palace, Ministries of Justice, Finance, Mines and Industry are among the targets. There reports of casualties, but numbers and locations are unclear. On Jan. 4, 2010, the U.S. Transportation Security Administration (TSA) adopted new rules that would increase the screening of citizens from 14 countries who want to fly to the United States as well as travelers of all nationalities who are flying to the United States from one of the 14 countries. These countries are: Afghanistan, Algeria, Cuba, Iran, Iraq, Lebanon, Libya, Nigeria, Pakistan, Saudi Arabia, Somalia, Sudan, Syria and Yemen. Last week a small crisis with potentially serious implications blew up between Israel and Turkey. Israeli Deputy Foreign Minister Danny Ayalon summoned Turkish Ambassador to Israel Ahmet Oguz Celikkol to a meeting Jan. 11 to protest a Turkish soap opera that depicted Israeli agents kidnapping Palestinian children. As is well known, a Nigerian national named Umar Farouk Abdulmutallab attempted to destroy a passenger aircraft traveling from Amsterdam to Detroit on Dec. 25, 2009. Metal detectors cannot pinpoint the chemical in the device he sought to detonate, PETN. The PETN was strapped to his groin. Since a detonator could have been detected, the attacker chose - or had chosen for him - a syringe filled with acid for use as an improvised alternative means to initiate the detonation. In the event, the device failed to detonate, but it did cause a fire in a highly sensitive area of the attacker’s body. An alert passenger put out the fire. The plane landed safely. It later emerged that the attacker’s father, a prominent banker in Nigeria, had gone to the U.S. Embassy in Nigeria to warn embassy officials of his concerns that his son might be involved with jihadists. For the past several years, STRATFOR has published an annual forecast on al Qaeda and the jihadist movement. Since our first jihadist forecast in January 2006, we have focused heavily on the devolution of jihadism from a phenomenon primarily involving the core al Qaeda group to one based mainly on the wider jihadist movement and the devolving, decentralized threat it poses. Vous parcourez actuellement les archives de la catégorie Stratfor : Les analyses de la semaine.